Self Tapping Screws | Drywall Screws | Wood Screws | All Size Supply Co.
All Size Supply stocks a complete selection of screws. Our catalog includes screws for virtually every application, available in a range of materials and material grades. To request a quote or to order the screws you need, contact All Size Supply for more information. Machine Screws: For fastening wood, metal and other materials together, machine screws are the great choice. We offer a wide range of machine screws, including pan head, slotted, hex head and round head machine screws. Many drive styles are available. Self Tapping Screws: These screws eliminate the need for drilling. Self tapping screws are useful for a broad spectrum of applications, from home remodeling to orthopedic surgeries. Drywall Screws: Drywall screws are self-tapping screws designed specifically for hanging drywall and can be installed easily with an electric screw gun. Due to their strength and ease of use, drywall screws have become the most commonly-used fastener for hanging drywall. Self Drilling Screws: Like self tapping screws, self drilling screws eliminate the need to drill a pilot hole. Featuring a tip similar to a drill bit, self drilling screws are often used for sheet metal and drywall. Construction Screws: All Size Supply stocks a wide range of screws for construction, including deck screws, particle board screws, trim screws and external wood screws. Wood Screws: Our catalog includes a wide range of screws for wood construction applications. Wood screws are available in a variety of materials, including brass, chrome and aluminum. Drive Screws: Drive screws are designed to be hammered through sheet metal, plastic, fiber or castings. To install a drive screw, you must first drill or punch a pilot hole. 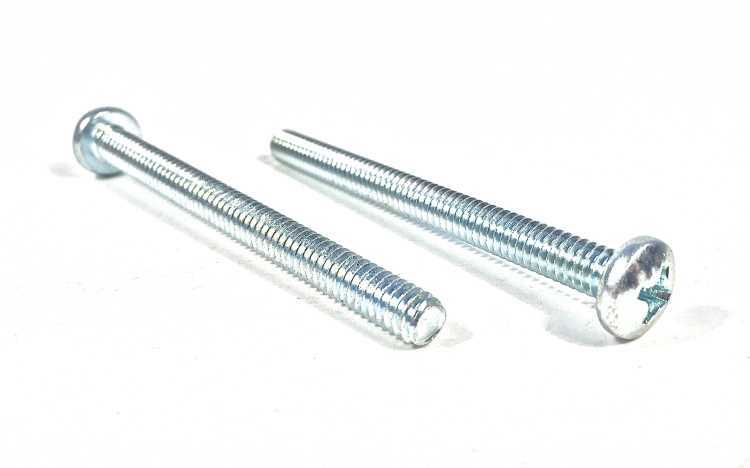 All Size Supply is your one stop shop for screws and other types of fasteners. Contact All Size Supply to request a quote.